On our third day in Seoul, we woke up to the sound of heavy rain. It was really cold and we decided to sleep longer instead of having an early breakfast at Gwakjang Market before catching the 8AM 4D movie at Yongsan CGV. 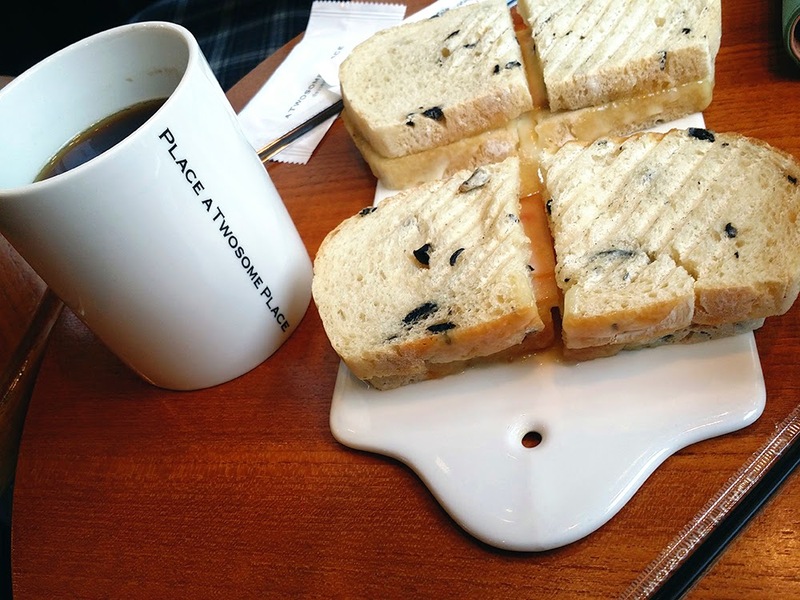 We leisurely took our time and finally tried Cafe Twosome Place located near Myeongdong station. 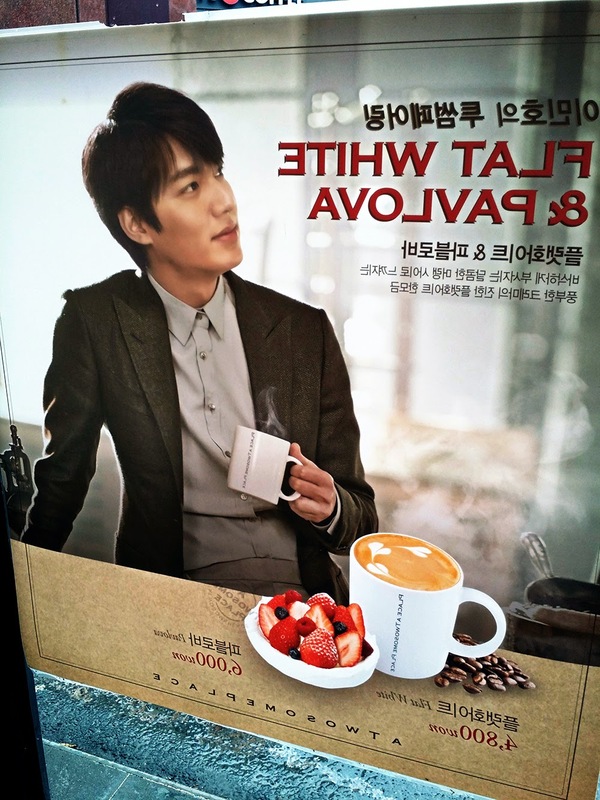 They sell a lot of Lee Min Ho merchandise, from mugs to planners to calendars. 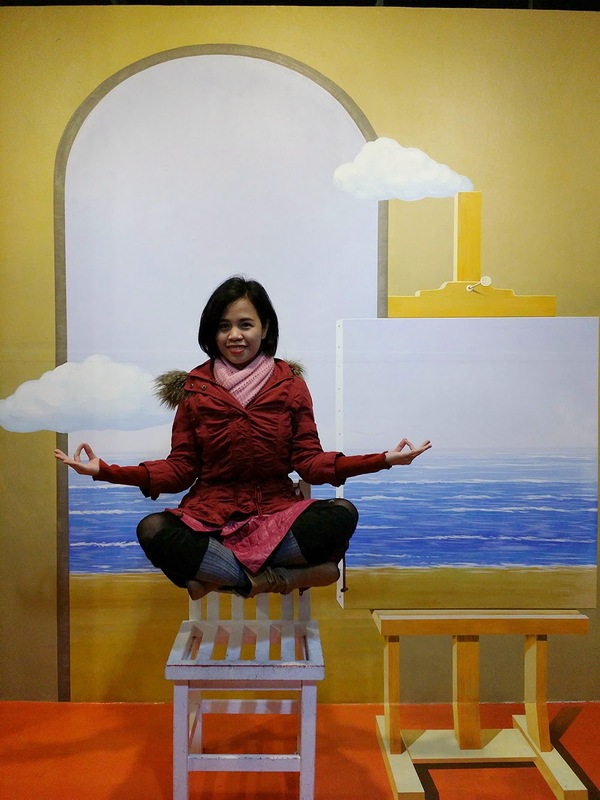 My ninang requested for a 2015 calendar but I know that I can get better bargains at Insadong. 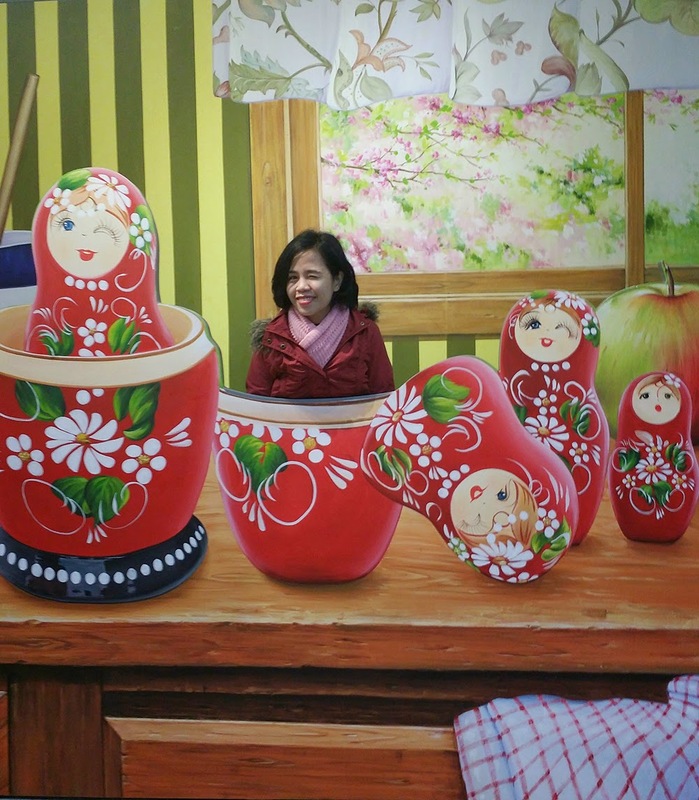 Because it was still raining hard, instead of a city tour thru a hop on hop off bus, we decided to go to TrickEye and Ice Museum. 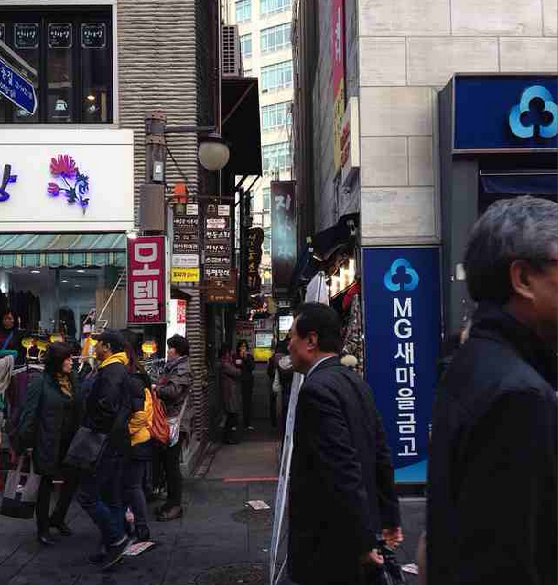 How to get there:Get off Hongik University Station. 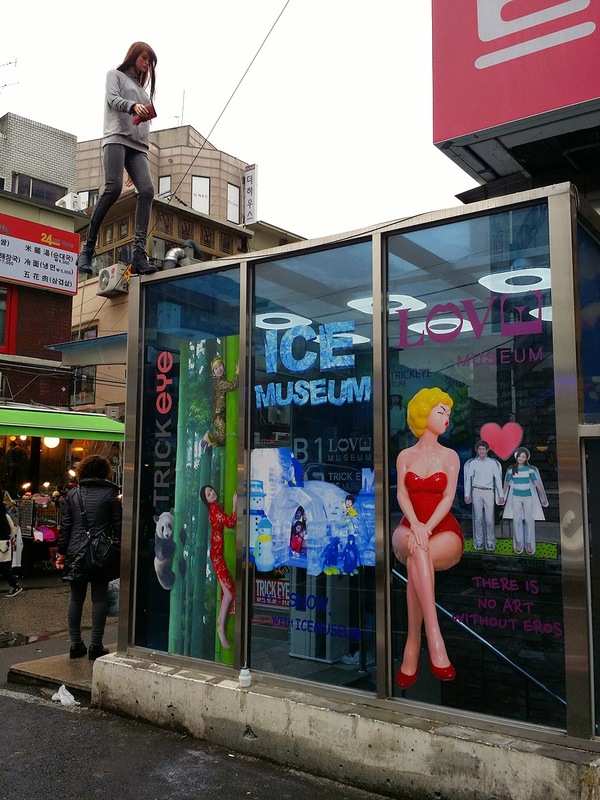 Go straight 150m, cross the road and turn onto Hongik-ro Street. Go Straight 120m and turn right down the second side street (in between TonyMoly and Holika Holika). Walk straight to arrive at Trick Eye Museum on the right side of the road. 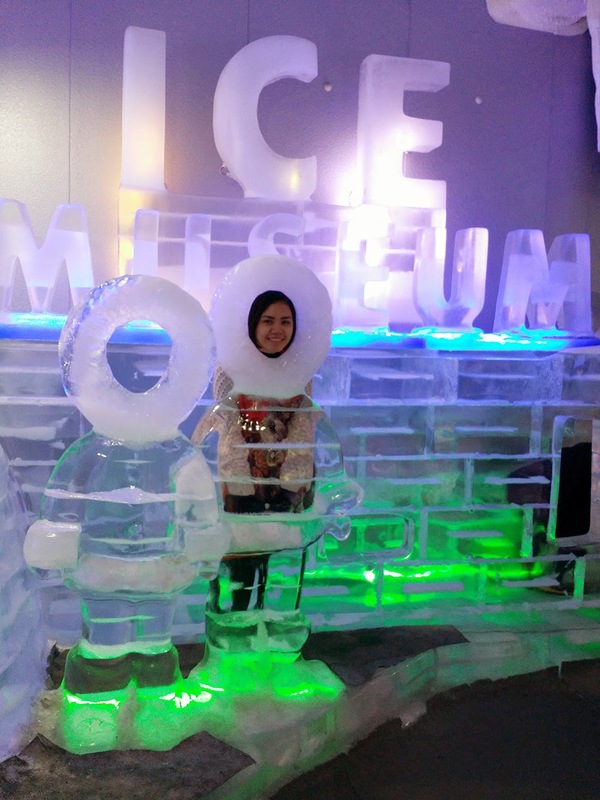 We also went inside the Ice Museum, but I think we only explored it for less that 10 minutes because it was very cold! 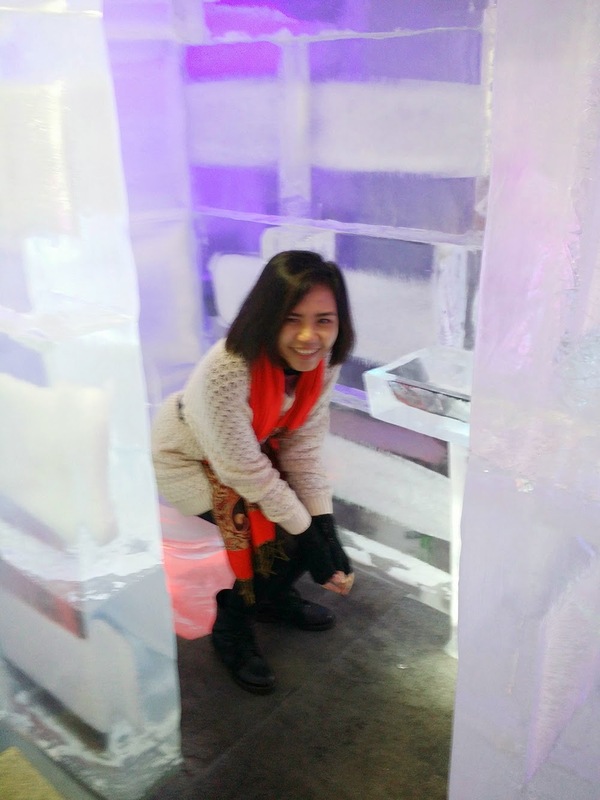 It was filled with icy sculptures done by local artists in Hongdae, here's my sister sitting on a chilly bathroom! 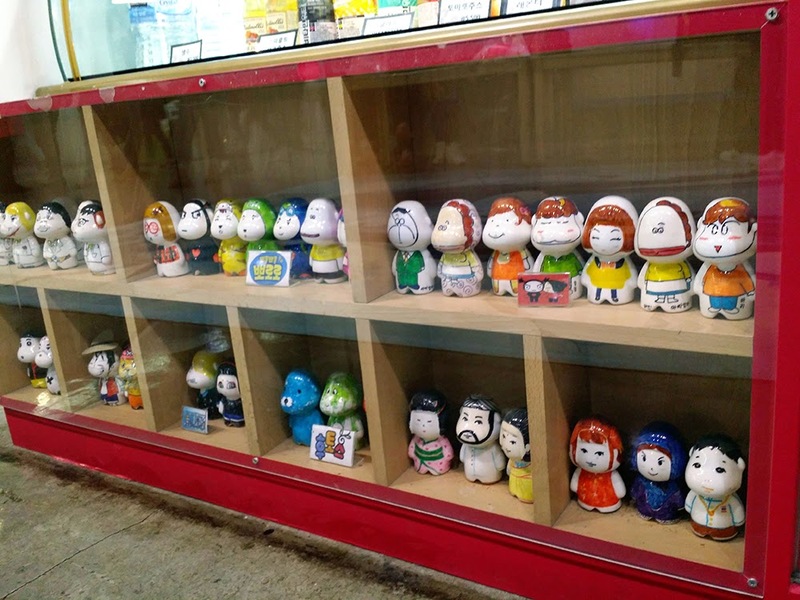 The perfect souvenir is making our own TrickEye art toys! Spot the geisha Trini and heavily bearded Eyni. 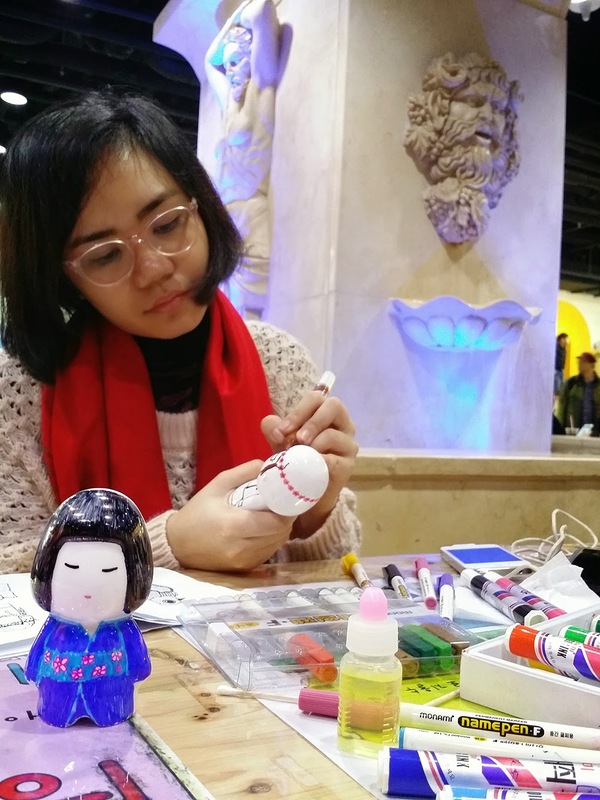 I designed the Kokeshi like Trini in blue kimono while my sister made a chibi version of herself. It was already past 2PM when we realized that we're starving. 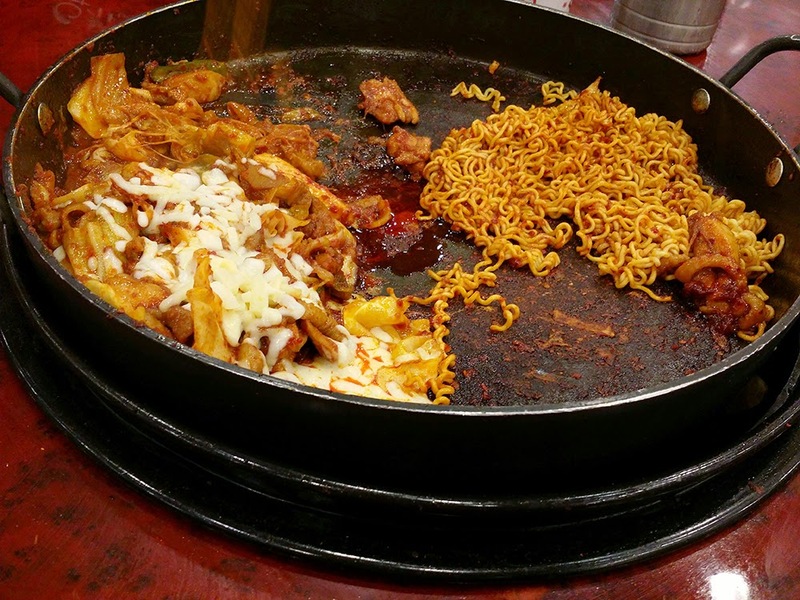 We're craving for Dak Galbi (stir fried chicken with vegetables) and passed by a restaurant that serves a dish similar to the ones we ate at Yoogane in Timog. They don't have an English menu so we ended up eating various pork parts instead of chicken or pork meat. 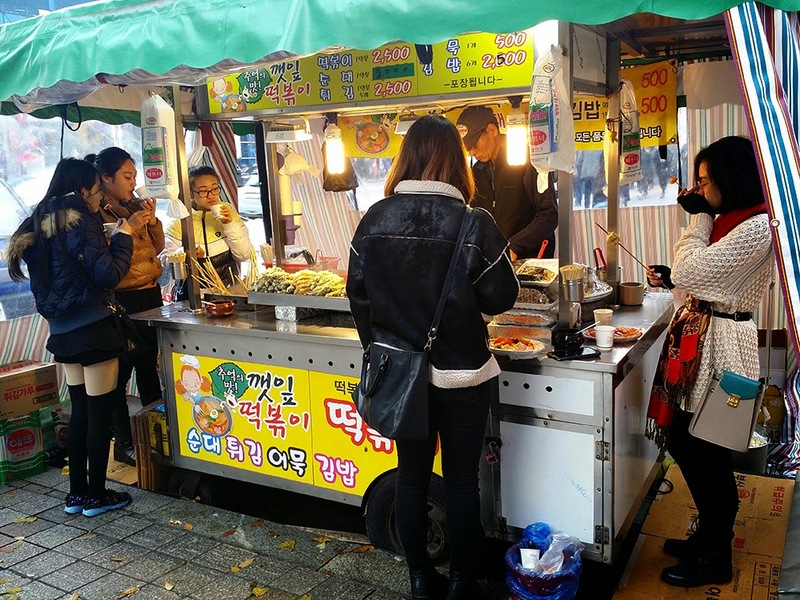 We're still starving, good thing that we passed by this street food cart. 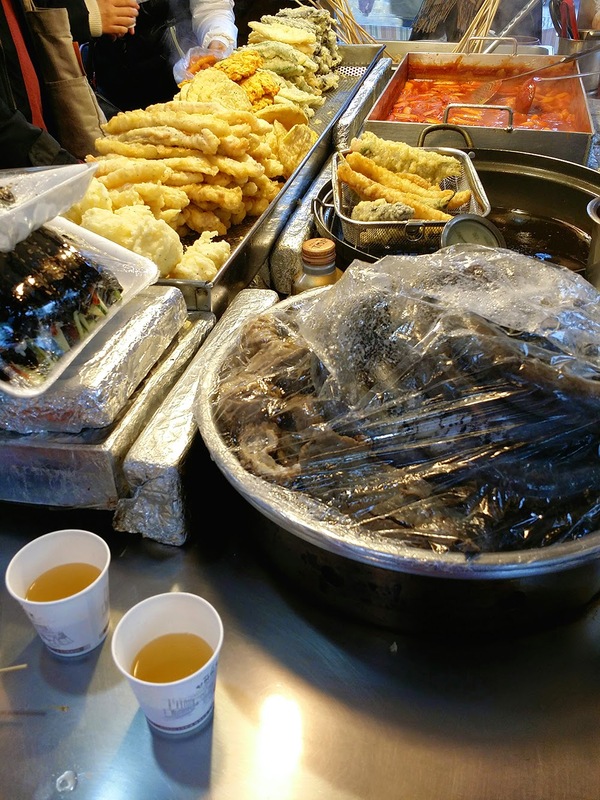 We ordered tteokbokki (rice cake), fish crepe on stick and free broth soup that goes well with the cold weather. 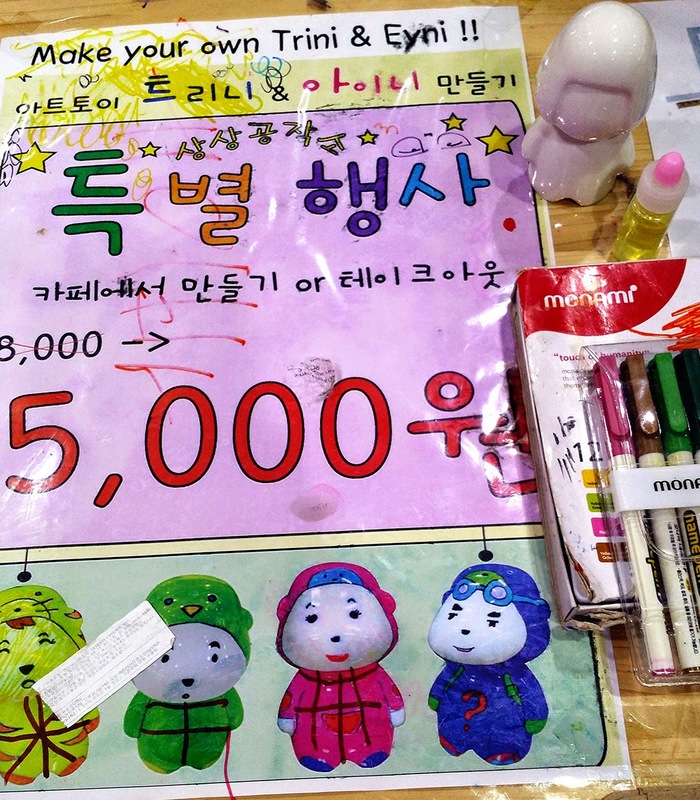 We went to Insadong to shop for souvenir items like the I love Korea shirts requested by my aunts, the gold plate and ref magnets for my mom. I even found table runners for my domesticated friends. 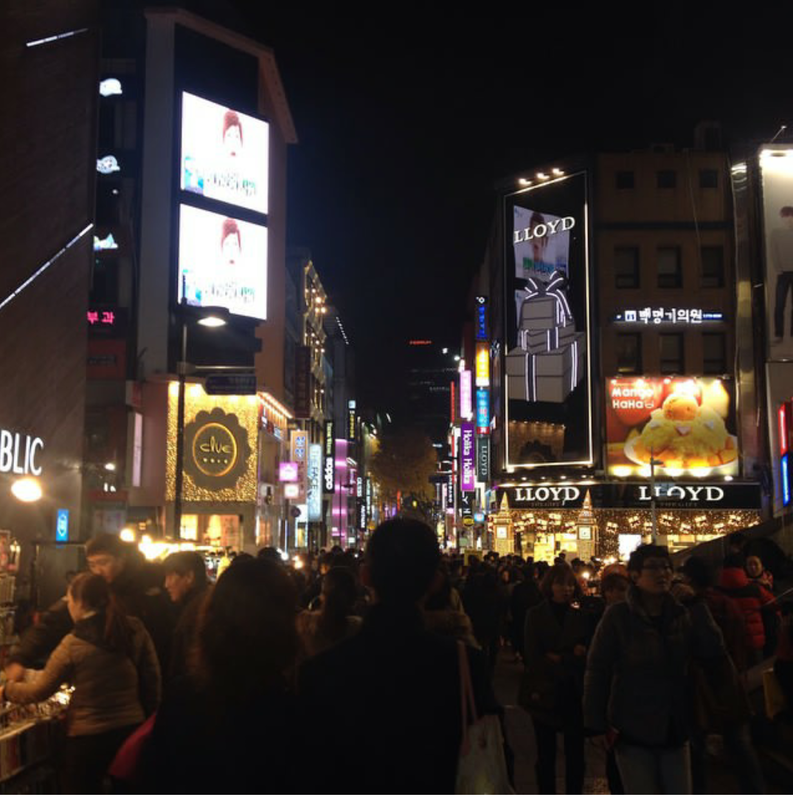 We ended up in Myeongdong Underground Shopping mall and Myeongdong proper for more shopping! I was planning to shop for Christmas gifts but they only sell winter clothes. 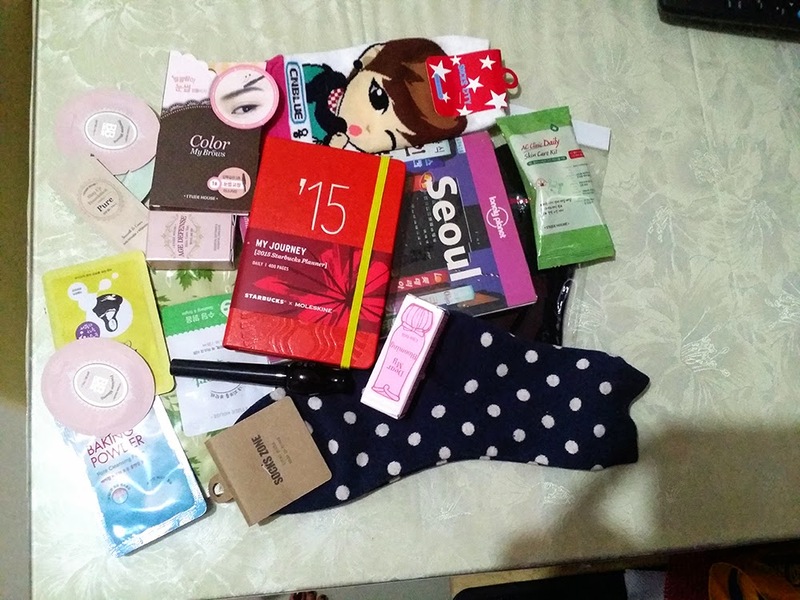 We ended up buying sweaters, kpop socks, minions socks and BB creams! 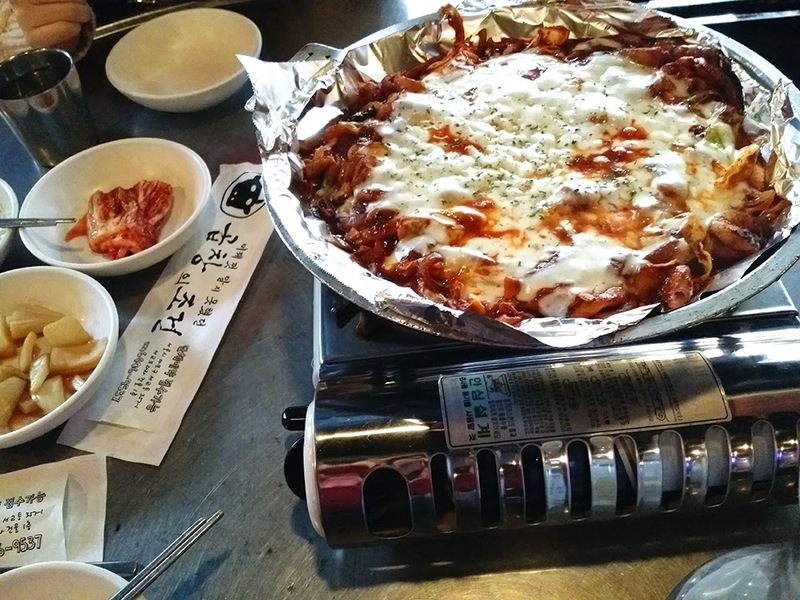 It's funny how we came across 2 branches of Yoogane in Myeongdong and we finally satisfied our Dak Galbi craving. 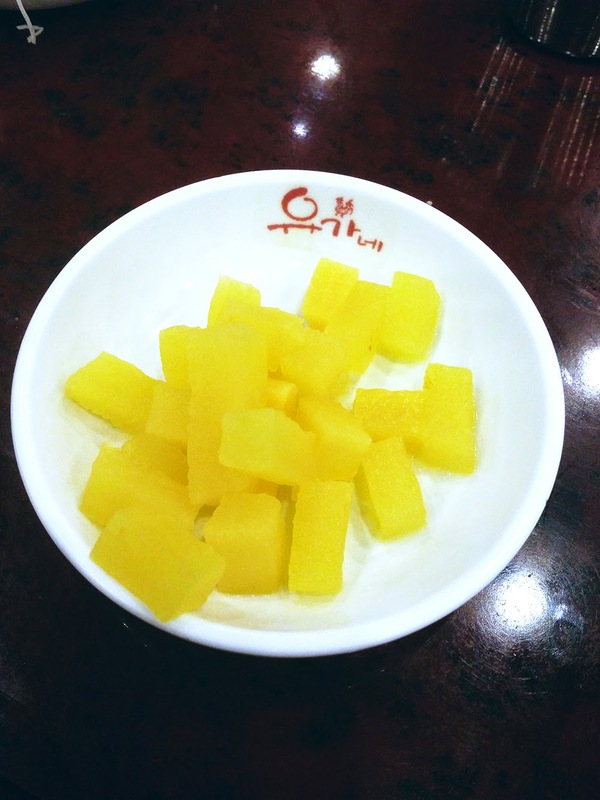 They even offer unlimited ban chan (side dish), hooray! I think I ate 1 plate of picked radish. 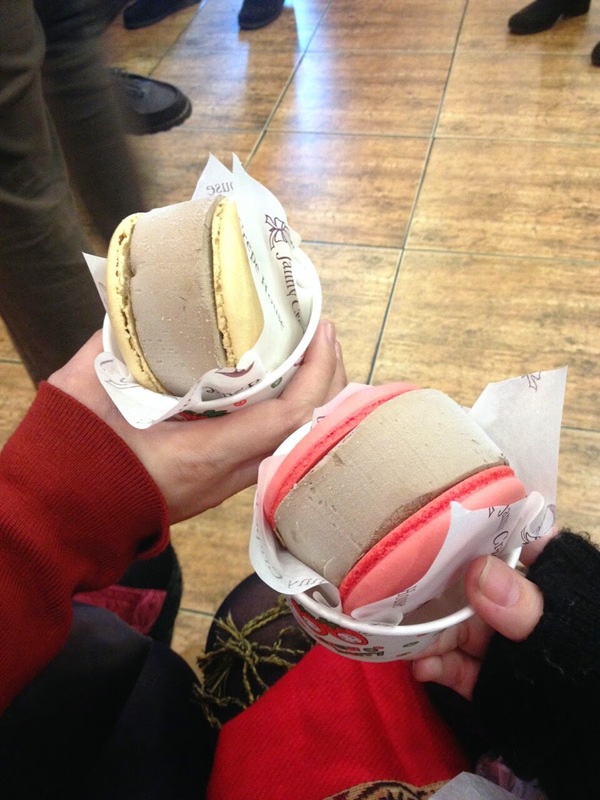 For dessert, we lined up for these chocolate and mocha macaroons.